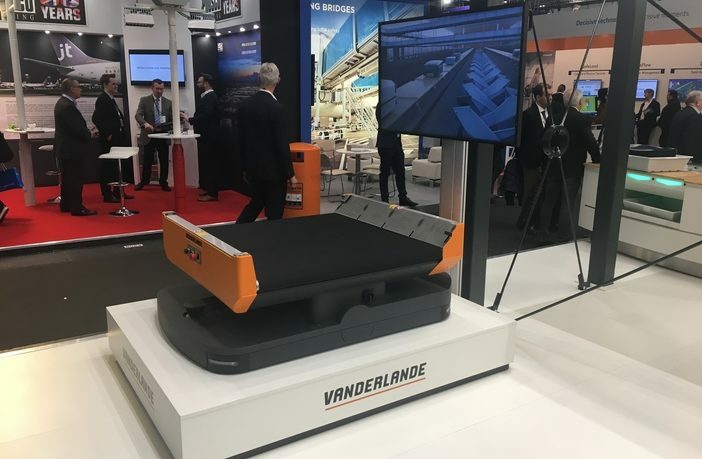 Vanderlande has announced the successful trail of its FLEET autonomous vehicle technology at Rotterdam The Hague Airport , the Netherlands, at Passenger Terminal Expo 2019. 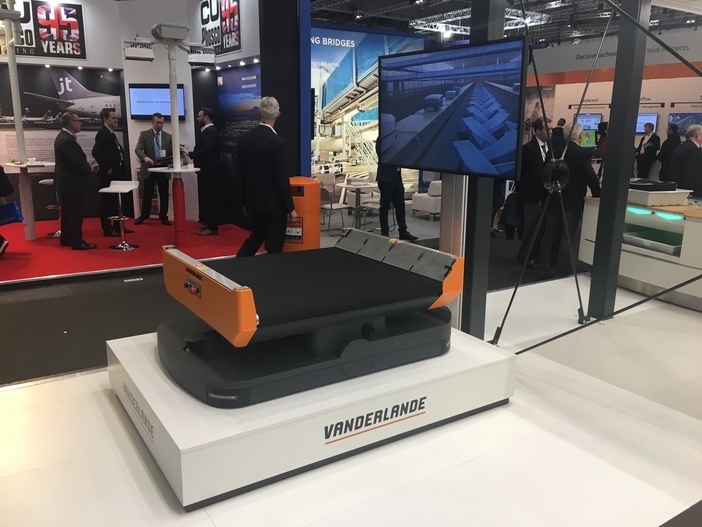 In an exclusive press conference held on Vanderlande’s stand at the event, Ron Louwerse, director of Rotterdam The Hague Airport, and Koen Evers, manager FLEET at Vanderlande, outlined how the new technology has improved operations at the airport in its first year of operation. Aviapartners, the baggage handler at the airport, was trained to use the system over a few weeks so that when an error occurs the handler who is loading the bags can easily solve any issues and keep operations on track. “That was the theory behind FLEET, and it was nice that we were actually able to show that the theory worked during the trial at The Hague Airport,” Evers explained. The system has now been optimised and the routing has been adapted during the trial to better suit the airport’s operation and increase capacity. It is hoped that the FLEET system will now be rolled out to other airports in the Netherlands, including Amsterdam Airport. “We were the pilot airport for the system and now Amsterdam is looking to expand its baggage facilities, so I think they can learn lessons from what we’ve done at The Hague Airport on a small scale and upscale it to suit their operations,” commented Louwerse. Vanderlande’s Evers also announced plans to roll the FLEET system out at a big US airport in the next few weeks, as well as at Lelystad Airport, and announced a small demo trial at another big airport in Europe. “Before the end of the summer, we will have four systems up and running at airports in various locations,” he added.